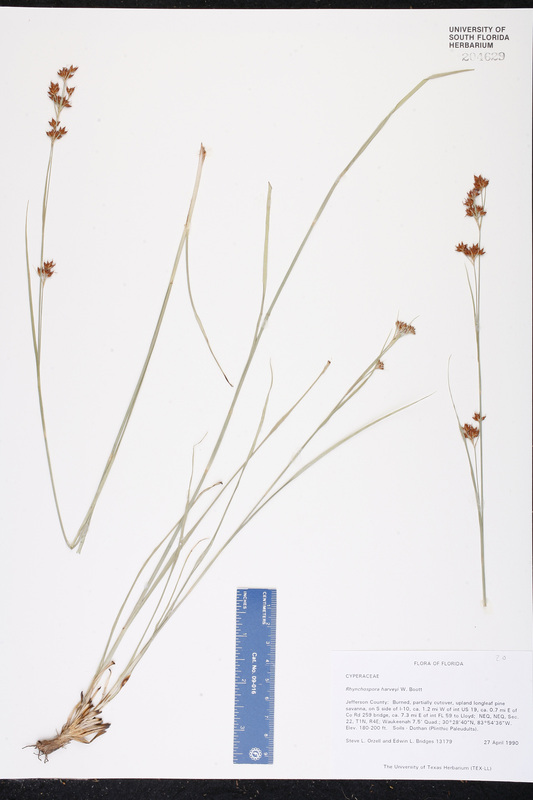 Citation RHYNCHOSPORA HARVEYI W. Boott, Bot. Gaz. 9: 85. 1884. Type: ARKANSAS: Grand Prairie, Jul 1883, Harvey 2 (holotype: GH; isotype: NY). 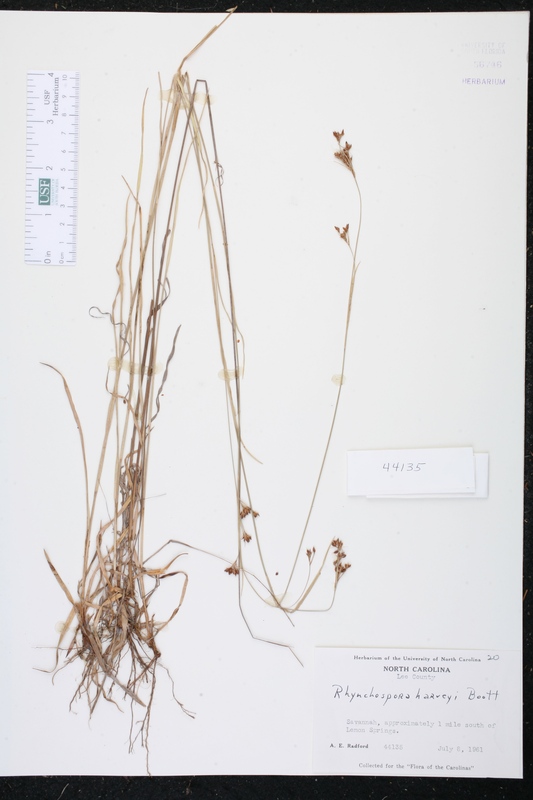 Rhynchospora culixa Rhynchospora culixa Gale, Rhodora 46: 235, t. 828(3A-3B). 1944. TYPE: GEORGIA: Tift Co.: Irby, 28 Aug 1890, Tracy 1498 (holotype: US). Rhynchospora grayi var. culixa Rhynchospora grayi Kunth, var. culixa (Gale) Kükenthal, Bot. Jahrb. Syst. 75: 120. 1950. 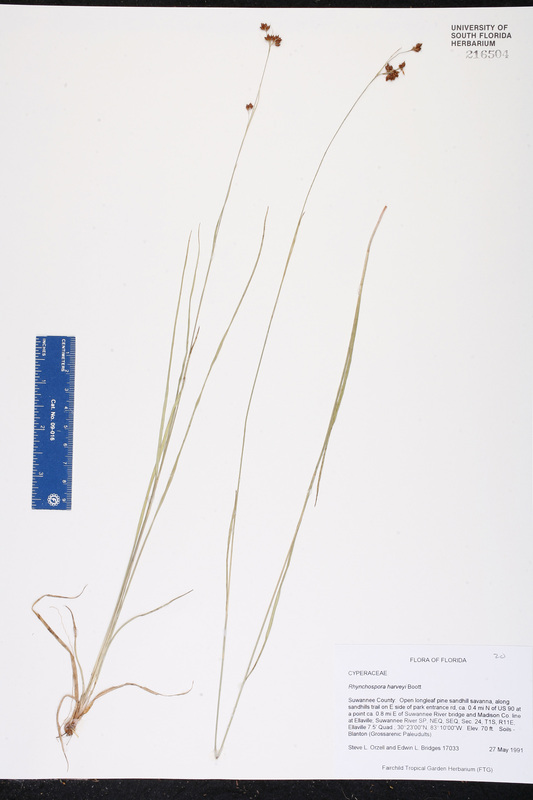 BASIONYM: Rhynchospora culixa Gale 1944. Rhynchospora grayi var. harveyi Rhynchospora grayi Kunth, var. harveyi (W. Boott) Kükenthal, Bot. Jahrb. Syst. 75: 120. 1950. 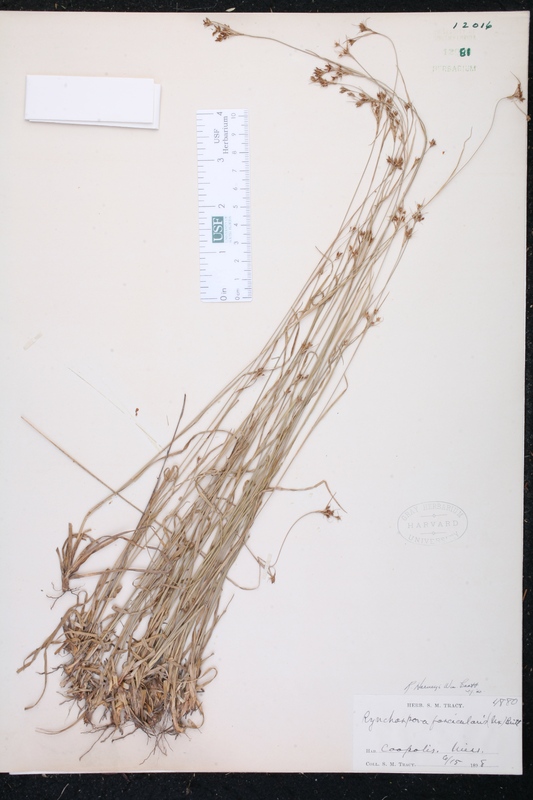 BASIONYM: Rhynchospora harveyi W. Boott 1884. 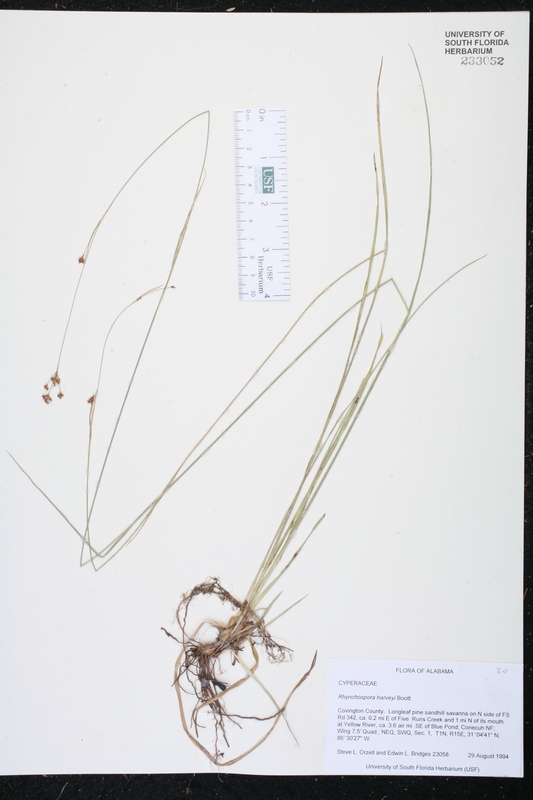 Rhynchospora harveyi var. 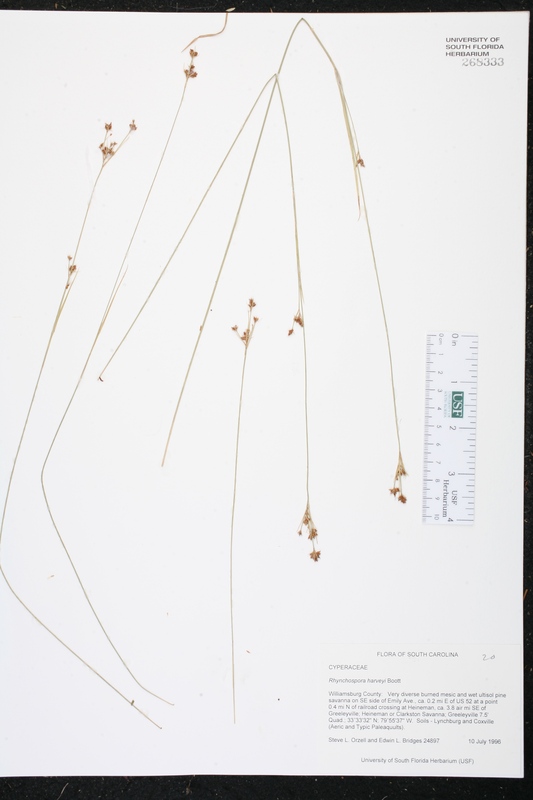 culixa Rhynchospora harveyi W. Boott, var. culixa (Gale) Kral, Novon 9: 206. 1999. 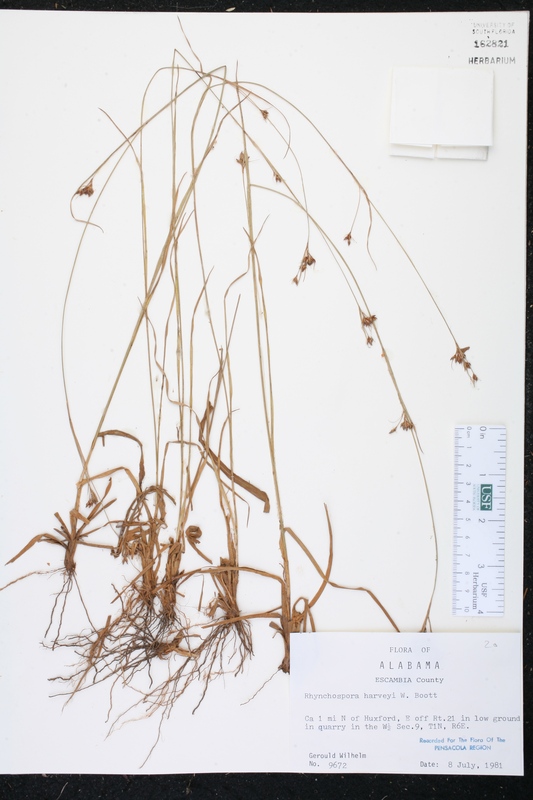 BASIONYM: Rhynchospora culixa Gale 1944. Phaeocephalum earlei Phaeocephalum earlei (Britton ex Small) House, Amer. Midl. Naturalist 6: 202. 1920. BASIONYM: Rhynchospora earlei Britton ex Small 1903. Phaeocephalum plankii Phaeocephalum plankii (Britton ex Small) House, Amer. Midl. Naturalist 6: 202. 1920. 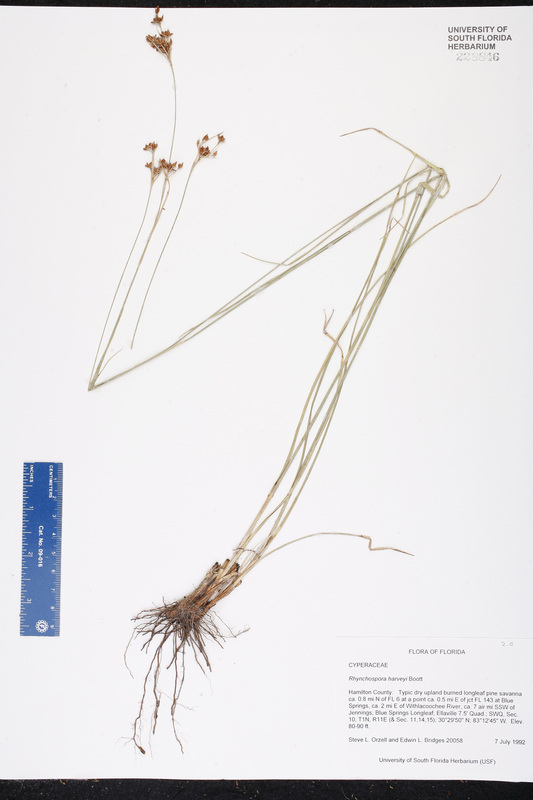 BASIONYM: Rhynchospora plankii Britton ex Small 1903. Rhynchospora earlei Rhynchospora earlei Britton ex Small, Fl. S.E. 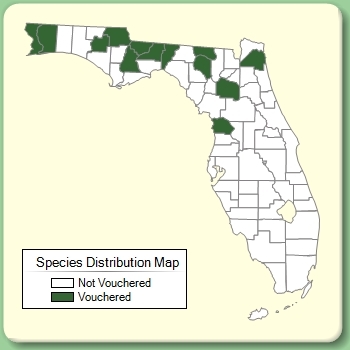 U.S. 197, 1328. 1903. TYPE: GEORGIA: Macon Co.: Marshallville, 8 Jun 1895, Earle 2977 (holotype: NY). Rhynchospora plankii Rhynchospora plankii Britton ex Small, Fl. S.E. U.S. 196, 1328. 1903. TYPE: ARKANSAS: Benton Co.: Without locality, 1899, Plank 29 (holotype: NY).